Maybe it is as much retry as it is retire. Important things sometimes get set aside as we attend to urgent things. Some important things get overlooked. Some important things get neglected. Some important (and difficult) things get pushed aside and avoided, and therefore remain unresolved. By nothing I mean read, think, pray, write – that kind of “nothing,” the kind of nothing I did not do often enough when I was doing “something.” For the first three months of my retirement I am going to try to think of myself as being on sabbatical, like having three months of Sundays, ninety Sabbath days in a row. 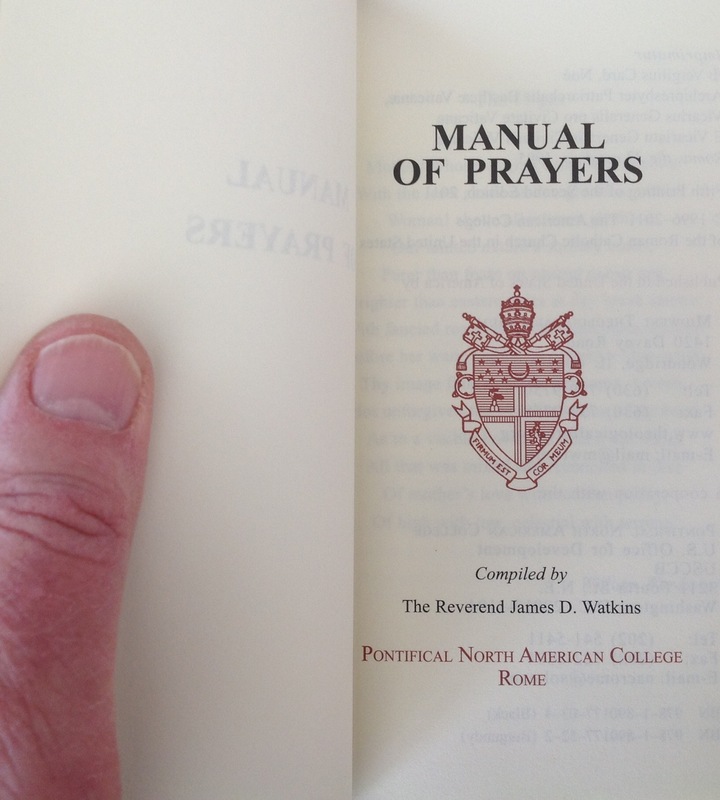 One of the new things waiting for me in my new retirement place is a book of prayers that is used by the seminarians and priests of the Pontifical North American College in Rome. The Pontifical North American College is the school of theology to which bishops from throughout the United States send a seminarian or two for the four years of study and formation before being ordained a priest. No, I did not go to North American College. I wanted to go there; I really, really, really wanted to go there, but I was not sent. Two of my classmates were chosen to go. I stayed home to study theology in Norwood, Ohio. They were brighter than I was, I know, and more well rounded by other skills and interests, but that knowledge did not seem to soften the blow. One of them was a particular friend of mine, and we had talked about how much fun it would be to meet up with another friend of ours who had gone the year before. We had planned to go together, and for the three of us to be together in Rome. But it was not our decision. That decision belonged to our college seminary faculty. Their decision did include him and did not include me. Yes, I felt passed over. I still hang on to resentment, and every so often it sneaks out. Do you know how that sort of thing works? Neither of my two classmates who went to NAC, as it is referred to by those who went there, which I did not, which I think I may have mentioned – neither of my two classmates who went to the North American College are priests today. One was never ordained; the other was ordained, but left the ministry after about three years. Can you hear the still present bitterness and lingering disappointment in my voice? After all these years, I still can’t seem to let it go. 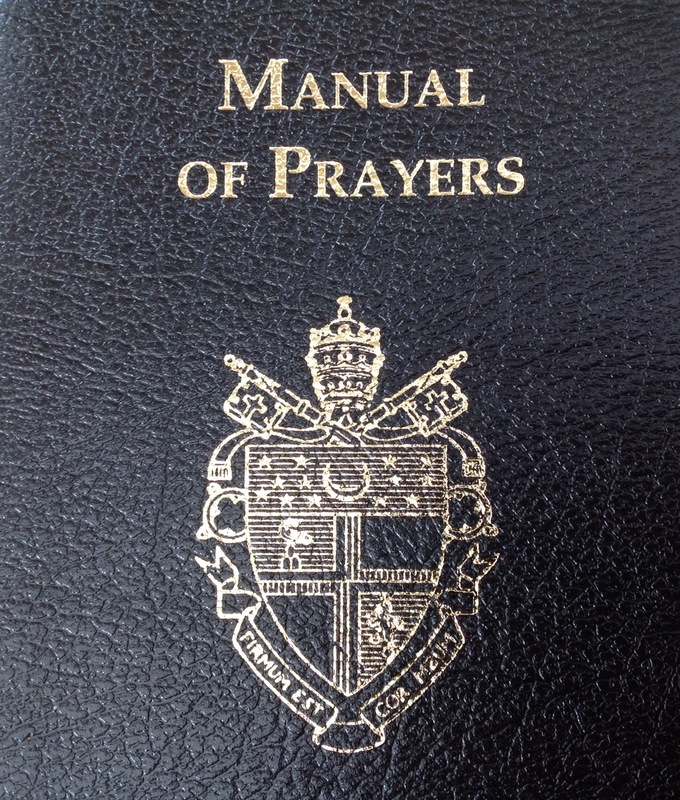 Maybe some moments in my retired prayer with one of the prayers from this book will help retire some of the negative and toxic debris left behind by holding on to something in life that was not to be. Yes, I know that it probably “was for the best,” and that it probably “was meant to be,” but that did not make it easy or fun. I can still remember standing on the pier in New York city back in August of 1971, waving goodbye to my two classmates, as the ship pulled away, with fog horns blowing and streamers flying, for its weeklong voyage across the Atlantic Ocean, during which they would be studying Italian with their new classmates. It is now time, and well overdue, for me to wave goodbye to something else. Maybe if you had gone YOU wouldn’t be a priest either. Maybe something bad happened there that year, with that class. It is so hard to let go of resentment, I’m glad to know I’m not the only one. Thank YOU for being obedient, even when it seemed (and maybe was) unfair, and thank you for being a priest and thank you for writing your blog. You are kind. You are understanding. You are welcome. Think of your post the other day and “Let it go”!!! Besides if you had gone, you may never have met us, how tragic!